Are you looking for something completely unique and truly different to promote your brand? Munich 72 Trophies are proud to present our stunning range of 3D crystal awards. Each award is made from a block of the finest crystal glass, chosen for its exceptional clarity and stunning reflective qualities. Your chosen image and corporate branding are engraved within the glass block using sophisticated laser technology. The result is a three dimensional image which is striking to behold and presents your brand in an innovative and memorable way. At Munich 72 Trophies we have a proud tradition of supplying awards to clients ranging from local clubs to global brands. These 3D Crystal Awards demonstrate our innovative and consultative approach with our clients. We are proactive in understanding our client’s needs and this is how this completely unique awards / gift range has been developed. When you approach us to make your 3D crystal award, we will help you to choose an appropriate image for your product. We can work with images you present to us. Our expert designers can also advise you on how to design an image unique to your award. 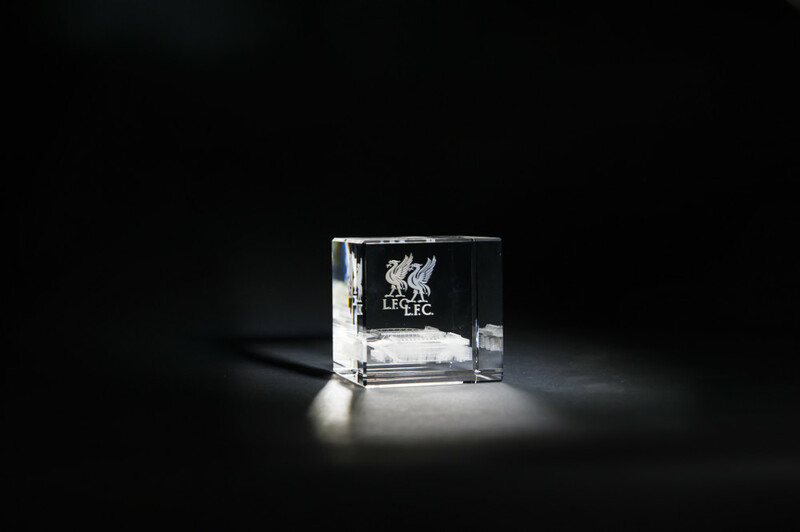 Once your image is chosen, we will use our laser crystal engraving machine to focus a high intensity laser beam into a block of high calibre crystal. Our computer technology will accurately map every point of your image inside the crystal. 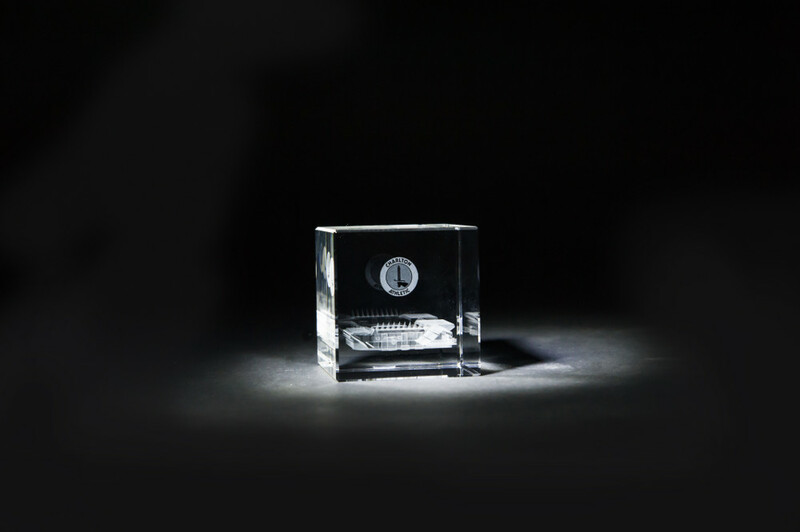 The beauty of laser engraving is that the inside of the crystal can be engraved whilst the surface is left unmarked. Furthermore our lasers can capture every detail with exceptional precision and clarity. At the end of the process you will have a beautiful crystal block with an accurate three dimensional rendering of your image right inside the glass. 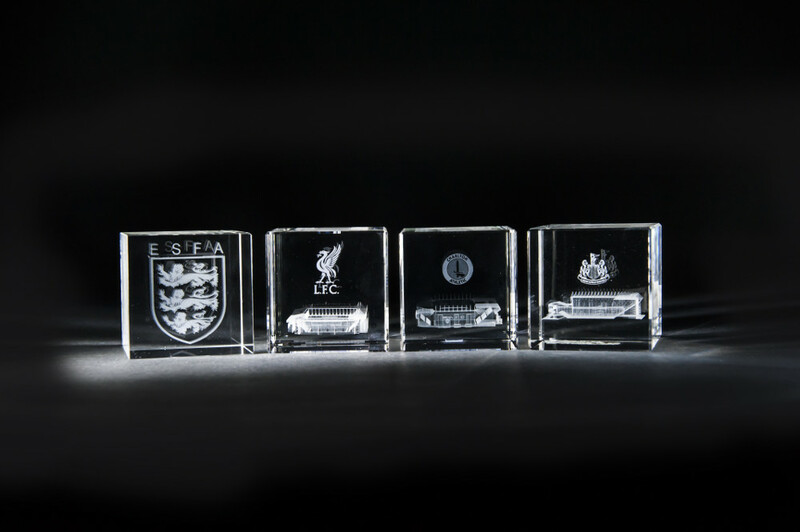 Munich 72 Trophies recently supplied 3D glass cubes with Wembley Stadium and the Wembley logo etched inside. 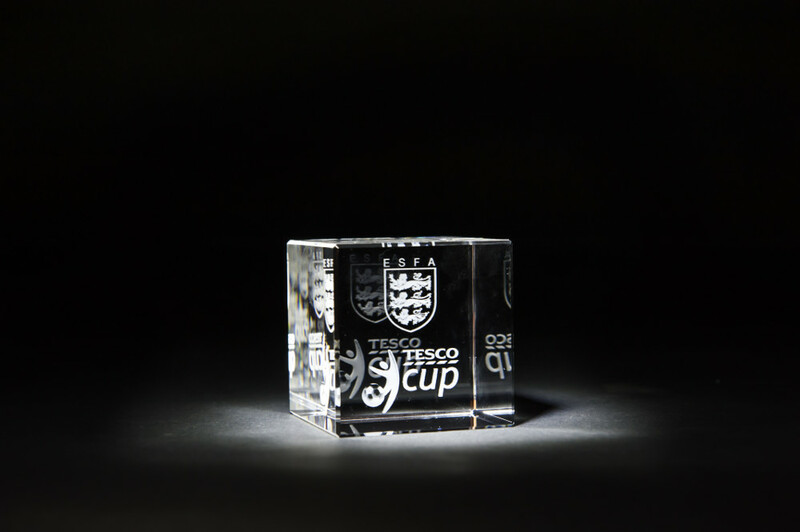 The striking cubes are supplied in black stylish presentation boxes with a Wembley logo printed on the lid. This product has been selling well in the Stadium Store and has also proved a very popular corporate gift – an all-round great product! After the longest running planning application in football history we finally opened our magnificent new American Express Community Stadium in July 2011. I asked Marc at Munich 72 Trophies to come up with designs for a product that we could offer not only to our Amex and BHAFC sponsors, but also to generate sales in the club merchandise stores. 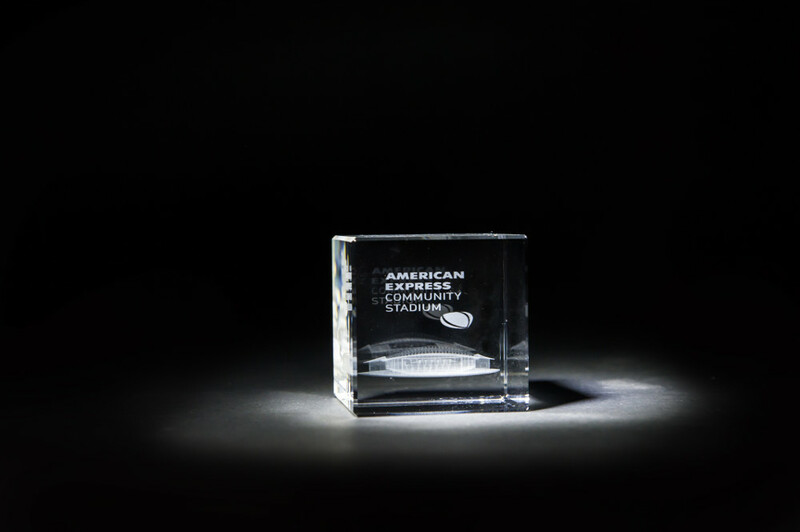 The product he came up with was an excellent solid glass cube with the stadium lasered inside – complete with a striking presentation box. Suffice to say the cubes not only went down very well with the sponsors but have also proved to be a very popular item with our fans. We at Charlton Athletic Football Club have been working with Marc Cowcher (Munich 72 Trophies) for a numbers of years. The products which have been supplied over a number of seasons are of top quality and have been well received from all our hospitality members. This year we received a cube with an image of the stadium in 3D which comes with a neat case, this in particular has gone down extremely well. Simply fantastic! The service is quick and never disappointing.